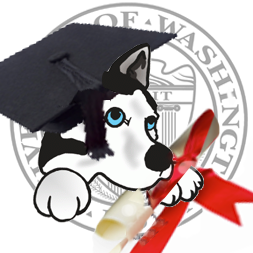 CLICKME to read about the University on THE-Ave.US .. a virtual pub located off the UW campus. Highline, a new online magazine from the Huffington Post has a disturbing article on the abuse of higher education by private, for profit, online education services. 2. The technology has been taken over by profit making s start ups with no incentives to cut costs, explore new technologies, or contribute to academic excellence. I was especially intrigued because of Carey’s description fo the online Masters Degrees in Education. Apparently 50% of all public school teachers now purchase these degrees as a way of getting an automatic pay increase with little or no oversight over the instruction offered by these online companies. This is exactly the concern I have had about our own state’s endorsement of the faculty less teaching offered by Western Governors University. Among its other gimmicks, SGU get around Washington state’s certification requirements for teachers y certifying their graduates in Utah and using reciprocity to qualify the WGU grads for jobs here. As Carey describes, this industry is rife with vague lines between profit and nonprofit. Often the for profit firm owns a non profit subsidiary. At WGU this is affected by high ranking WGU administrators sitting on the boards of firms that provide WGU teaching materials. Meanwhile, as a”private” non profit, WGU is exempt from state laws about public disclosure and, of course, operates tax free. The issue ought not to be the technology but the outsourcing. Development and validation if of tools for online education should be a major academic goal in and of itself. With all these flaws, I am intrigued by Mr. Carey’s assertion that online education does work. As a former student of Skinner, I believe that too. I have often used online courses to learn things I needed for my work or just for fun. The question I have is why isn;t more of this available that does meet hugh academic standards? Why isn’t the UW able to work with out state colleges to provide online courses that might enable kids to benefit from UW faculty, earn UW degrees, getting excellent support from a local campus, while not funding the profits of entities like WGU?